Millennium Hippies is Mark Laurent and Brenda Liddiard. For more than 2 decades they have been playing music together, part of that secret army of ‘indie’ musicians who fly just below the commercial radar, playing grass-roots, mostly un-plugged music throughout New Zealand, Australia and the UK. For them, songs, poetry and humour are ways to talk about “life, the universe, and everything”. They are also well-known in acoustic music circles as solo performers. 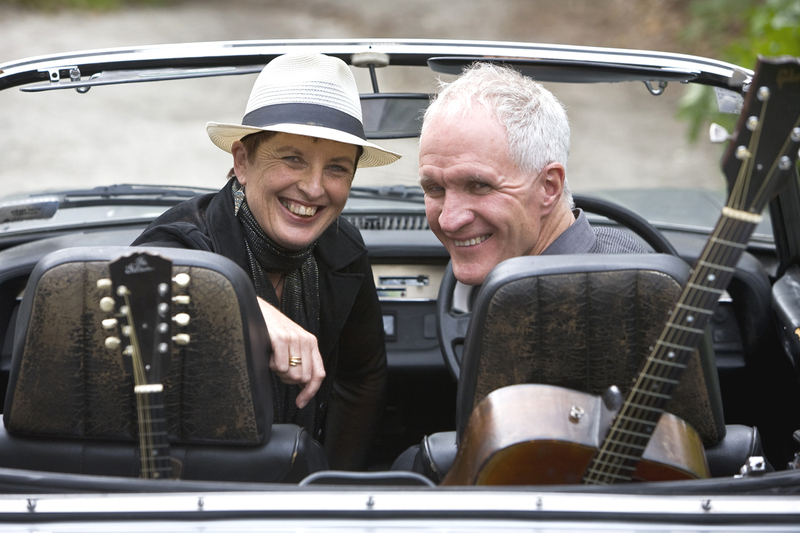 Together or separately Mark & Brenda have recorded or contributed to around 30 albums, written hundreds of songs and instrumentals (some of which have been covered by other artists or used in movie soundtracks), with a range of styles including blues, reggae, acoustic rock, ambient, folk ballads and alt. country. Instruments include guitars, mandolin, ukulele, rowan lute and vocals. Mark has published 3 collections of poetry, so their concerts are often peppered with poems and stories.